Passengers have claimed they were kept aboard a Ryanair flight and airport bus for hours in the summer heat on Tuesday, but those claims have been vehemently denied by the airline and ground handling agents. Ryanair flight FR367 to Catania was supposed to take off at 2pm but was held up by a technical fault, with passengers who contacted Times of Malta saying they were stuck on board without air conditioning and no way of getting off the plane. "There were people banging on the captain’s door asking to leave and receiving no reply," Abigail Giuffre, whose husband was on the plane, said. “People were feeling faint and taking their clothes off trying to cool down”. Eventually, passengers were let off the plane and taken to the shuttle to go back to the airport. However, Ms Giuffre said passengers ended up waiting for around an hour on the bus, until one of the frustrated passengers hit the emergency exit to leave. Ryanair admitted that the flight was cancelled but insisted that the aircraft doors were opened as engineers worked to clear the fault. 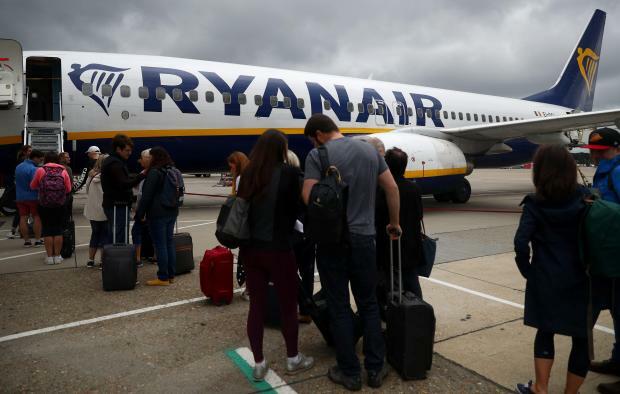 “Cabin crew also opened the bars and served refreshments,” Ryanair said, adding that the flight was originally delayed due to a minor technical issue. Ground handling agents Aviaserve, who operate airport buses on behalf of Ryanair at Malta International Airport, also denied claims that passengers were stuck aboard buses. Mr Bugeja said vehicles were only kept stationary while passengers alighted the aircraft with their personal belongings and hopped aboard the buses. “There was no delay out of the ordinary,” he insisted. A Malta International Airport spokesperson said that airport authorities had allocated a gate for passengers to return to as soon as it was informed that they would be offloaded. Passengers were ushered onto buses which took them back to their aport terminal without delay, the spokesperson said, adding that "MIA regrets any inconvenience experienced by passengers as a result of this incident".